One of my new hobbies is watching FishTV. 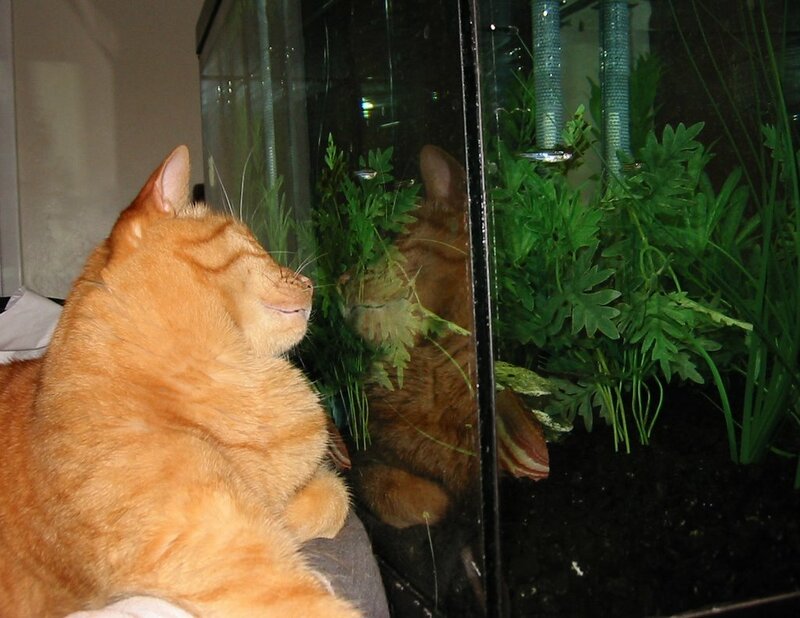 I can sit for hours and stare at the fish. I think the Danios taunt me on purpose, quickly swimming back and forth in front of me like little crack addicts. Oh lucky! Mom won't let us have any fishies. She's afraid we'll knock their house over. Would you like to join our Gorgeous Ginger gang? 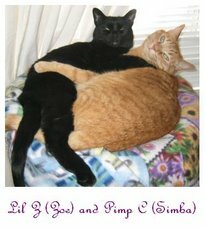 You are clearly a Gorgeous Ginger so we would love to have you in our gang! Take a look at http://gingergang.blogspot.com. Hope you decide to join us! 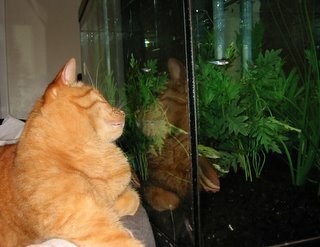 I would like a fish tv! Much better than the one we have now.